When buying or selling your home, remortgaging, taking out a lease, or doing any other kind of property deal, it is essential to get all of the legal details right. Make a mistake and you could lose a lot of time and money, or be left with on-going problems that should have been foreseen and avoided. This is why you need a conveyancing solicitor you can rely on. Our conveyancing solicitors can handle the entire property transaction for you, including all of the necessary checks and searches to ensure there will be no hidden surprises after the deal has gone through. We can also handle everything related to the contracts of sale, ensuring your interests are protected, as well as processing the financial side of the transaction, ensuring the money changes hands at exactly the right time, allowing the transaction to progress smoothly. We hold the Conveyancing Quality Mark and have helped thousands of people make the move from one property to another. We pride ourselves on providing a fast, cost-effective, modern conveyancing service to clients all over the world. We’re proud of our national conveyancing service, and the dedicated conveyancing solicitors and conveyancers who make up our friendly team. Our highly experienced conveyancing solicitors throughout the UK can deal with every kind of conveyancing transaction, from the smallest cottage to the largest penthouse apartment. Liaising with many different parties – the representative or solicitor for the other party to the transaction, estate agents, surveyors, mortgage lenders and banks, sometimes leasehold managing agents and freehold landlords. Investigating the legal title to property, to ensure that the seller has the right to sell it. Examining the Official Register of Title or any title deeds (if the property is unregistered). Advising the purchaser on the rights and obligations associated with the property, such as easements (right to pass across land belonging to someone else), drainage and water supply, who maintains the boundaries etc. Obtaining and considering searches from the local authority, water companies, and environmental consultants. Asking or responding to enquiries (questions) from the other party to the transaction’s solicitors. Ensuring that all the legal documentation is properly drawn up. Making sure that the right amounts of money are paid to the right parties and any mortgages are redeemed. Registering the transaction with HM Land Registry after it has completed. One of the key advantages of our conveyancing service is that you don’t ever need to meet with us face-to-face (unless you want to!). Many of our clients deal with us exclusively online and over the phone, including by email and video messaging. Even essential documents can be sent online, using our streamlined and secure online conveyancing systems. We regularly offer online conveyancing to clients all over the world and can guarantee exactly the same level of service as if we were dealing with you face-to-face. When you use our online conveyancing service, your property transaction will still be handled in house by our highly experienced conveyancing solicitors, ensuring the you benefit from the very highest standards of legal expertise in a convenient, cost-effective package. 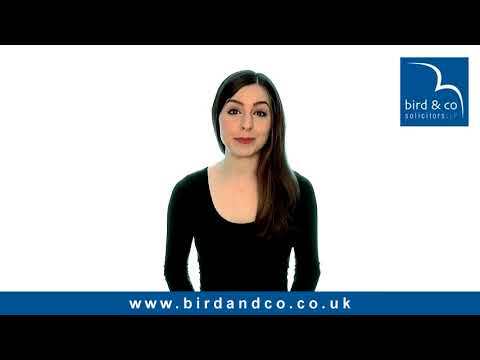 To find out more about how our online conveyancing service works, please get in touch. We're Conveyancing Quality Scheme and Lexcel accredited by the Law Society. We're proper solicitors, meaning we have the expertise to deal with even the most complicated property transactions and are fully regulated and insured. We provide conveyancing for properties right across England and Wales for clients based anywhere in the World (and there's no need for you ever to come to our office). We are highly experienced in conveyancing for a wide range of property types and different kinds of property transaction, meaning we have the expertise to offer a fast, smooth and efficient conveyancing service, no matter what you require. Our identity checking process is streamlined and easy - no need to send us original documents in the post. You will get a direct phone line for your conveyancing team, so you can always get in touch for an update or the answer to a question. You get a direct email address to your conveyancing team. You can track your case for free online. We work with buyers and sellers in a variety of locations, click to see some of the locations where we have helped people to buy and sell property previously. We aim to keep our conveyancing fees transparent and competitive, while offering the very best service for our clients. We offer fixed fee conveyancing, meaning that the price we quote you upfront is the price you will pay unless there are unforeseen circumstances, in which case we will inform you of any additional cost at the earliest opportunity. This would include any work which is outside of the scope of the usual conveyancing transaction such as negotiating a lease extension on a leasehold property prior to sale. Our quotes include a complete breakdown of the cost of your conveyancing, including our fees and the various fees paid to third parties, such as HM Land Registry. These third-party costs are known as disbursements and are fixed, meaning they should be the same between difference firms of conveyancers and conveyancing solicitors. These are the disbursements which we anticipate but are not an exhaustive list. Notice of Transfer fee – This fee if chargeable is set out in the lease. Often the fee is between £75 and £250. Notice of Charge fee (if the property is to be mortgaged) – This fee is set out in the lease. Often the fee is between £75 and £250. Transfer of any share in the Management Company or application to become a member (where relevant). This fee is again chargeable under the lease. Often the fee is between £75 and £250. Deed of Covenant fee – This fee is provided by the management company for the property and can be difficult to estimate. Often it is between £200 and £500. Certificate of Compliance fee - To be confirmed upon receipt of the lease, as can range between £100 – £300. In some cases there can be two sets of these fees payable where there is a Landlord and Management Company that require notices. These fees are set by the Landlord or Managing Agent for the whole development. Where you are selling a leasehold property it will be necessary to obtain information from the Landlord or Management Company. The cost they charge can typically be up to £500. Some of these fees may also be payable for freehold properties that are on developments which include management companies. It can be quicker or slower, depending on the parties in the chain. For example, if you are a first time buyer, purchasing a new build property with a mortgage in principle, it could take 4-6 weeks. However, if you are buying a leasehold property that requires an extension of the lease, this can take significantly longer, between 3 and 6 months. In such, a situation additional charges would apply.